The traditional pomp and circumstance accompanied the opening of the Supreme Court this morning. The spotlight of the event is shared between the Chief Justice, the Attorney General and the President of the Bar. 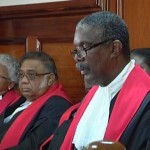 All three addressed the ceremony citing pertinent matters: there is a reduction in the number of judges on the bench, a backlog on judgments and for the Attorney General, funding for the administration of justice is a measly one percent while teachers’ share of the national pie is twenty-six percent. News Five’s Isani Cayetano has a report. 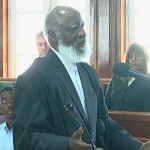 The ceremonial launch of the legal year, complete with traditional pageantry, took place this morning at the Supreme Court of Belize. Following an ecumenical service at St. John’s Cathedral, a procession of lawyers, magistrates, justices, as well as other members of the judiciary, made its way down Regent Street, before culminating in front of Battlefield Park. 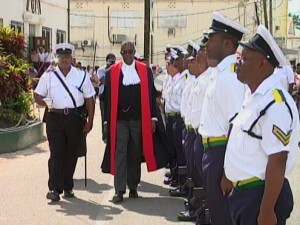 There, an inspection of the guard was conducted by Chief Justice Kenneth Benjamin. 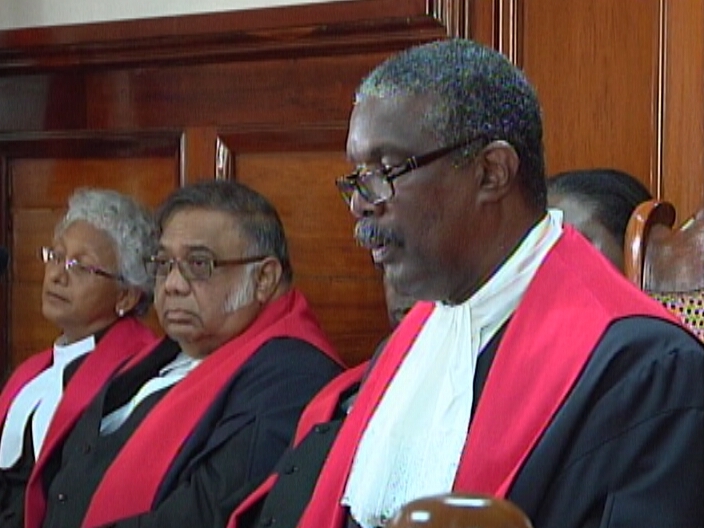 Formalities aside, the CJ, during his address, spoke on a range of pertinent issues affecting the function of the courts, including the accumulation of criminal matters, particularly cases of murder and other related offences. 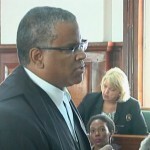 The problem, according to Chief Justice Benjamin, is the persistently poor handling of such cases. 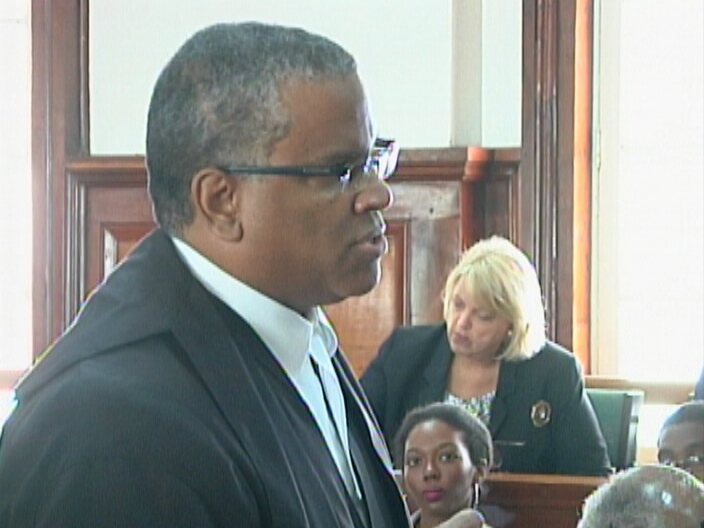 Echoing those sentiments is Senior Counsel Eamon Courtenay, president of the Bar Association. 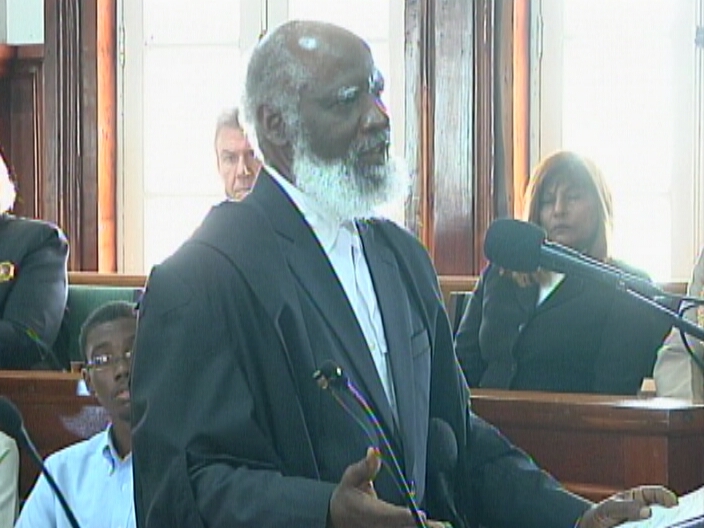 There has also been a reduction in the number of judges on the bench. Albeit a slight decrease, the effect is being felt in the number of backlogged cases. A major part of the issue at hand is the funding of the judiciary. Instead of an increase in resources, the spigot from which that branch of government is subsidized has been tightened, reducing financial support to a mere trickle. Backlog is an affront to rights with cases waiting for decisions for up to a few yrs and in some instances, resolution will mean little to petitioner. Abysmal. You are one sick puppy !